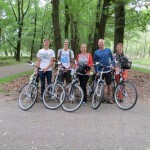 The National park, Hanseatic towns ride is the perfect combination for tourists interested in small historical towns and the best of Dutch national parks. 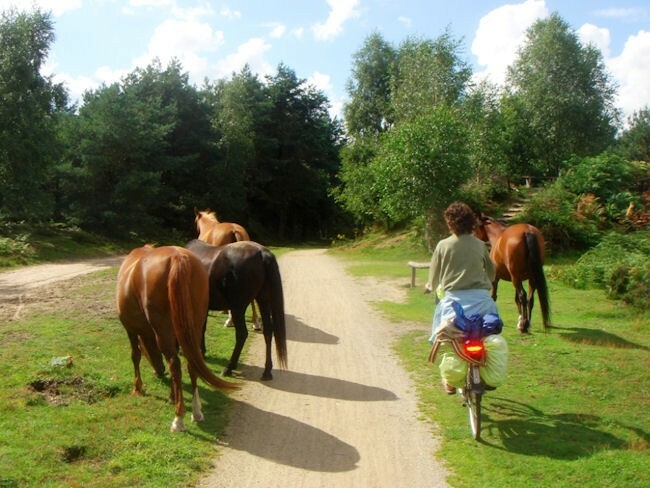 The mix of the Hanseatic towns and villages of Doesburg, Zutphen and Deventer, along with the car-free Hoge Veluwe National Park, makes this an unique bike tour. Whilst passing through these wonderful towns and parks, you will come across a number of highly interesting museums, such as the renowned Kröller Müller museum and the Airborne museum. The fascinating town of Arnhem, well known for its role in World War II (Operation Market Garden) and the beautiful historical town of Amersfoort, where you will start your ride, are also included in this tour. 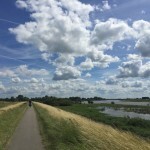 Although this part of the Netherlands is not that well-known for visitors from abroad, it is certainly one of the most beloved areas for the Dutch who love cycling in their spare time. 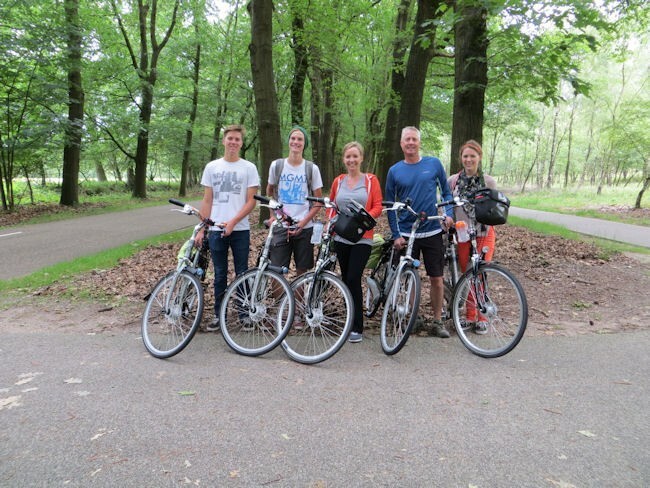 Your tour starts with a personal bike fitting and a detailed explanation of your tour in Amersfoort. Pedal to the well-preserved and listed medieval centre with one of the tallest church towers in the Netherlands. It is possible for you to visit the Mondriaan House or the historical, and educational, Flehite museum. 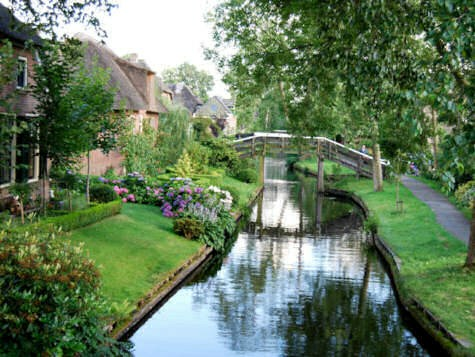 The cycle ride out of town will take you on a quiet bike lane along a tranquil canal up to the villages of Scherpenzeel, Renswoude and Lunteren. From Lunteren onwards, the landscape starts to change and the more open farmland is replaced by gorgeous forest areas. You end your day in the pretty village of Otterlo at the gateway to the ‘Hoge Veluwe’ National Park. Your cycling today takes you through the National Park, which covers approximately 55 km2. It is a mix of heathland, sand and woodland areas. Once in the park, you will cycle past the famous Kröller Müller museum. The museum (which is not open on Mondays) has the second-largest collection of paintings by Vincent van Gogh, as well as one of Europe’s largest sculpture gardens. You leave the park, to the north of Arnhem, and the trip makes a loop to Oosterbeek. 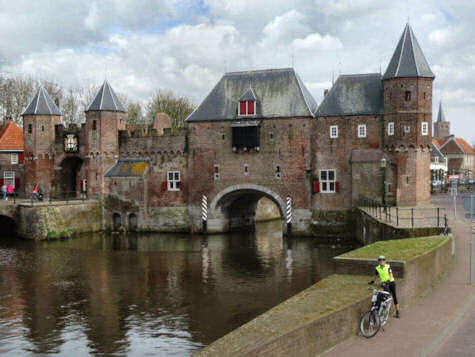 You will pass the Doorwerth castle, the Airborne Second World War museum and finally ride on to the city of Arnhem. On the last few kilometers there are plenty of museums and highlights to visit like the Dutch National Open Air Museum, the zoo and the Dutch water museum. Finally ending your day at the charming Art Nouveau hotel Molendal on the edge of the town centre. After having a lovely breakfast, you leave the town of Arnhem and cycle up to the river IJssel valley. After taking a small bicycle ferry, you cycle along pretty recreational lakes to the small, but charming, Hanseatic town of Doesburg. You can stop off at the main town square of the historical Hanseatic town of Doesburg. Visit the Doesburgs mustard factory and ‘de Waag’. 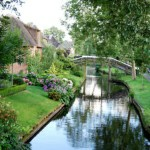 Cycling leisurely along the banks of the river Ijssel, you continue towards the picturesque art village of Bronkhorst. Bronkhorst, one of the smallest cities in the Netherlands, houses a museum dedicated to Charles Dickens. After this, Zutphen is your stop for the night and is one of the historic Dutch towns being part of the Hanseatic League. History will engulf you in the ‘s Gravenhof Hotel, which is full of 17th century painting and architecture. 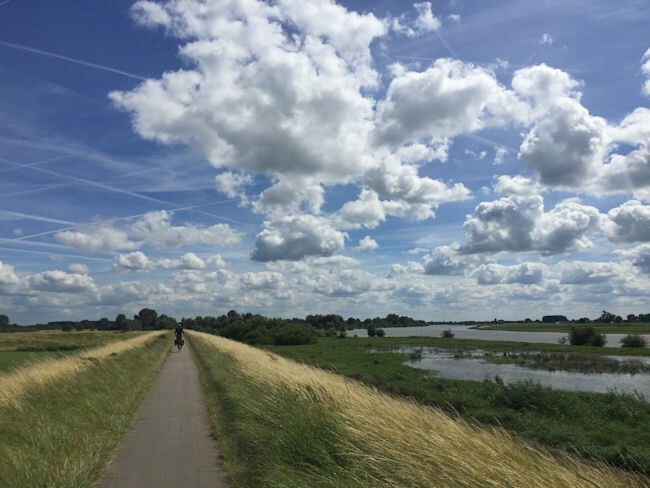 Although Zutphen and Deventer, both part of the Hanseatic League, are in close proximity to each other, the cycle ride will not take you straight there. The region itself is an eclectic mix of farmland, forest areas and flood plains. 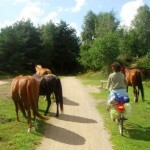 You will certainly enjoy the wonderful landscape on the 40 km- cycle ride on the way from one town to another. However, if you are primarily interested in the old historical towns themselves, then the shorter version of the route will guide you more directly to the towns and villages on the way. Deventer, the final stop of your cycle ride, is just as much a historical town as Zutphen. The Waag (Weighing-house) on the edge of the Brink square, the medieval Bergkerk (Mountain Church) on top of a small hill, the old streets around this church and the Saint Lebuïnus church in Gothic style are some of the highlights in this town. During the year, Deventer hosts three events of national and even international fame. In the first weekend of July, the city is the scene of the Deventer on Stilts festivals with actors and artists giving free performances in the streets. In August, Deventer is home to Europe’s largest book fair and finally in December you have the Dickens Festival.